Why does it matter? Why does it matter if we have a neat(er) house? Why the emphasis on this use of our time as a society? 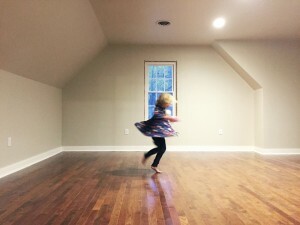 If any of you have moved into a new home with children you have experienced the joy of children entering and engulfing an empty room. They laugh and play. Their ability to be creative and play with their siblings increases. A few days later all the toys have been unpacked and painstakingly put away in the new perfect spot but are now lying in heaps around the house. Your children are tired, quarrelsome, and BORED. How is this possible they have SO MANY TOYS! Please tell me I an not alone! We as adults are not a whole lot different. When you are in a space that is open, where you can see the things around you clearly and you have few choices it causes you to find enjoyment in what you have. 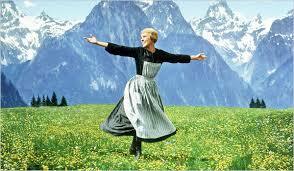 Cue Maria from the Sound of Music. To connect with those around you. And to try new things. We as humans feel a need to connect with other humans and our environment. Control of our clutter and our things is an easy way to meet these needs. I have always been a neater person. Not an OCD type but left to my own accord my dirty clothes land in the laundry basket and my dishes in the dishwasher. I have a nice pile of books and other necessities next to my bed. I unpack from travel usually with in 12 hours of returning home. My decorating tastes lead to a combination of mission style with lots of beautiful wood and straight lines, meets modern with shiny metal and clean surfaces, meets Bohemian with beautiful fabrics and art in bright colors. I like empty counters and space around the art on my walls. This is all in high contrast to what I grew up in. An overview. I am one of two children. My parents were both highly educated and interesting individuals. They especially loved antiques and animals. Antiques I get it I really do some of them are beautiful or ingenious. My mother collected antique medical and nursing items. While other children would chase eachother down the street with scooters and bikes my friends and I jousted in my living room with antique cames wearing bed pans as hats and rolling ourselves in antique wooden wheeel chairs. No joke! My mother also collected pewter dishes as our formal dinner ware (12 different types of glasses and goblets to hold alcohol for the 16 piece setting???) as well as ceramic birds that she adorned our Christmas tree with. She was a yard saler, thrifter, dumpster diver. Things that were neat or a good deal were often purchased even if we didn’t need them. She also was one of those people who would keep anything “Because you never know when you will need it!” and 20 years later should would pull something out and say “See, it is a good thing I kept this!” Charming right! It absolutely was if we could have survived all the STUFF. It was just plain every where. My mother is this odd combination of free spirit with fleeting organizational OCD like behavior. Things had to be put away exactly in the box with the picture of the bird on it, placed in the correctly labled box, put in the exact place in the garage. She was so particular and opinionated in such matters it was impossible to ever accomplish the task at hand. She would pull everything out of every drawer in the kitchen and hours later there would be two drawers complete with perfect lables and space accomadation and then everything else would be left. There was no hurry up and clean just so we can have a life. As a child it was very frustrating to try to learn how to clean and organize. My family also had a great love of animals. They breed various different types. At one point we had a female German Shepherd and her 8 puppies, a English Bulldog and her 6 puppies, 3 Persian cats and all of their kittens and a pregnant Peruvian guinea pig. 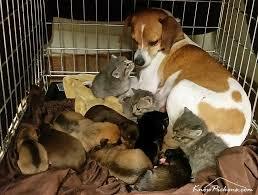 This is on top of a few other non pregnant cats and dogs. 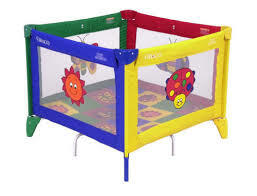 There were so many offspring my parent put large square baby playpens all over the house to corral the babies and the parents would jump in and out for care and feeding. Aww so cute right! It was insane. More like this. They didn’t properly supervise many of these animals so there were some rooms that were over come by animal waste and hair. It was to the point that by the time I was in high school there was only a handful of my friends who ever had even entered my house. Birthday parties and sleep overs were off the table. My parents weren’t bad or unkempt people they were overwhelmed in their jobs and life. Their solution for cleaning was to place it on their daughters. My sister and I are 5 years apart. At a young age we were told we were the reason for all of the mess. As a parent now I do understand some of this but I also feel compassion to my overwhelmed mini self. We didn’t just have normal pick up your room chores but things like shampooing carpets, cutting down and pulling up the roots of a huge tree, taking 500 ceramic birds off of a Christmas tree on top or normal things like all the household dishes, vacuuming etc. We had no idea how to proceed. Our parents started gifting us cleaning items as our main Christmas or birthday gifts. We received a dishwasher, vacuum and special holders to organize things. The amount of cleaning expected was extreme and I spent much of my youth grounded and unable to attend parties and events because of it. It was really quite odd and reveling looking back. Slingshot to where I am now. I have a beautiful home which I share with my husband, four children ages 6-13, two dogs, two cats and a gecko. We homeschool and I cook much of our food from scratch including bread, yogurt etc. This means there is always someone home. There is not leaving the house clean and everyone returns 8 hours later from work and school to a clean house. Or cleaning while all the kids are away at school. It is chaos all the time. I sometimes dream that I drown in a sea of paper. Kids leave paper everywhere! I spent a number of years overwhelmed by the mess. I couldn’t get rid of things that were gifted to me even if I hated them or they were useless or impractical. I would feel guilty like I wasn’t accepting there love and I felt if I discarded things then they would know how I really felt. Not only how I felt about the item but also issues with the relationship. Keeping these things became a a blanket to keep my mouth shut and feelings silenced. A perfect example is my mother gave us a cake topper. It was a bride and groom. The man was blonde and the woman brunet. Nice gesture you might say! Well she gave it to us after the wedding so we never used it for the cake and I am blonde and my husband brunet. I kept and carried this thing around for 10 years of marriage. It moved with me 8 different times before I finally tossed it. Every move my mother would look for it. It has taken years of reflection to determine why I ended up the way I was in regards to cleaning, organization and my acquiring of things. Before you read on to my other posts about this topic and ultimately how I overcame it I would encourage you to sit and journal for a minute about your youth regarding this issue. Where did you learn the behavior you have? 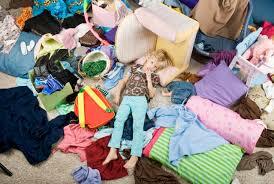 Were there experiences in your childhood that were traumatic regarding things and cleaning? Why does having a neat home matter to you? Or why have you decided it doesn’t? How does not having a neat home affect your life? Does it cost you time, money, peace of mind, zapping energy? I love this Dy!! The last year or so we have minimized so much of our stuff and I still feel like it’s too much. I love the energy of a neat and tidy space, as well as the empty space to move around in. As a child I never felt like I could keep anything tidy, mainly because I never had a space of my own and too much stuff occupying the space I was allotted. I feel ya on keeping things out of guilt… It is hard but I am learning how to be a better gatekeeper of what comes in and stays in our home. Or not worrying about hurt feelings if I choose to get rid of a gift. Best advice I have is just take your unwanted items straight to DI instead of letting family members go through it all first. My mom gave me an outfit for my birthday last year but it didn’t fit right and wasn’t quite my style, so I put it in a bag to give away, then my sisters went through it and my mom found the outfit and was offended. It’s so silly how emotional we get about our “stuff”. I love reading your posts. Keep up the good work! !